“If the round-the-world balloon flight was the final adventure of the 20th Century, Solar Impulse is without doubt the first to encapsulate the challenges of the 21st” – Albert II, Prince of Monaco. When it comes to pioneering spirit, a few Swiss names stand proud on the international stage, including three generations of the Piccard family – each undaunted by the word ‘impossible’. August was a balloonist, Jacques an undersea explorer, and Bertrand is fascinated with flight. Our greatest adventurers often operate in pairs. Occasionally they’re partners but more often they’re arch rivals, fixated on the same audacious goal. Like Scott and Shackleton in their Antarctic expeditions, or more recently Sir Richard Branson and Bertrand Piccard in aviation. In their first encounter, Branson went far, but Piccard went further. Richard Branson and Per Linstrand achieved the first trans-Atlantic balloon flight (2,900 km) in the Virgin Atlantic Flyer in 1987 and four years later they went on to cross the Pacific (6,700 km). 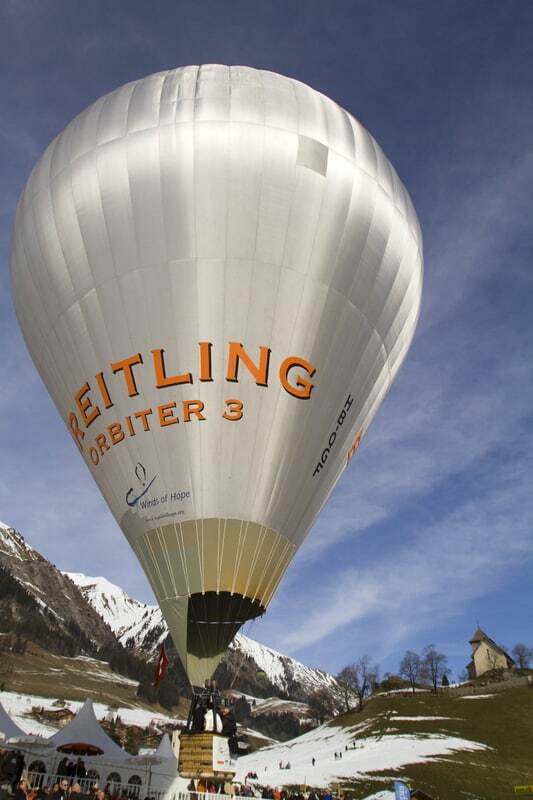 With no engine or steering mechanism, hot air ballooning is the oldest, and arguably the most romantic form of flight. The first ‘manned’ flight was in Versailles in 1783 in the Presence of Louis XVI, when brothers Joseph and Étienne Montgolfier famously sent up a balloon carrying a sheep a cockerel and a rather confused duck. Over the two hundred years since, unpowered flight has remained at the forefront of human endeavour. The challenge has been to find synthetic materials and lighter burners that will allow pilots to fly higher, longer and further. This passion has been the springboard for the second great rivalry between Sir Richard Branson and Bertrand Piccard, which began a decade ago and is playing-out now. 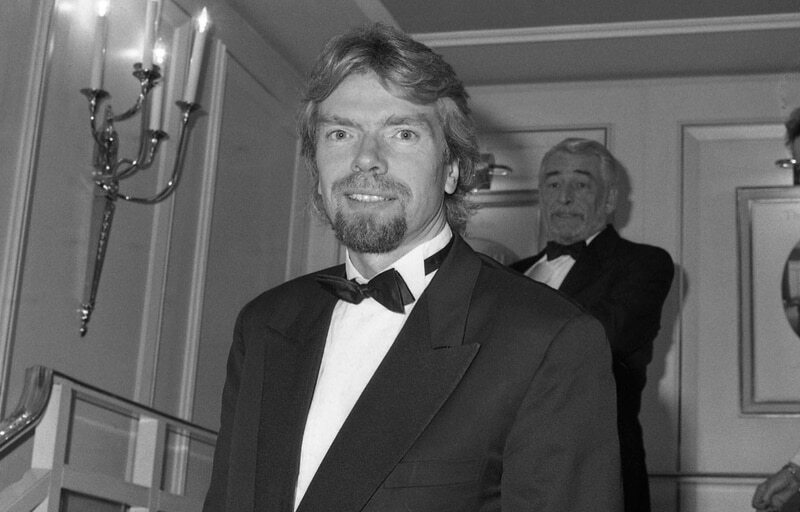 Sir Richard wants to revolutionise space travel with Virgin Galactic, the company he founded in 2004 to offer sub-orbital space flights for tourists, and orbital flights to launch small satellites. Yet the supersonic project has experienced several setbacks, and this week the company announced that their first commercial flight from Spaceport America in New Mexico will not be before 2016. Bertrand Piccard’s new ambition is not so much to conquer unknown territory as to preserve our planet from the internal threats it faces. 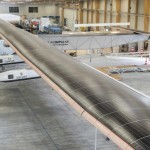 His life-work is Solar Impulse, a fixed wing aircraft capable of flying day and night on the energy it harvests from its 11,628 photovoltaic cells. “Exploration frightens those who prefer to take refuge in dogmas, paradigms and assumptions” – Bertrand Piccard. 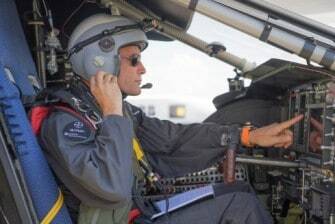 Together with André Borschberg, an accomplished Swiss businessman (who previously followed his own passion for flight as a jet pilot in the Swiss Air Force), Bertrand leads the multi-disciplinary team of 50 engineers and technical specialists from six countries which has re-interpreted aeronautics. By chasing out every useless gram of weight or finding lighter substitute components, they have developed a single seater aircraft (HB-SIB, after its Swiss registration) which has the wingspan of an Airbus A340-600 and the weight of a mid-sized car. 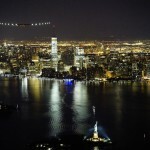 On Monday, 9th March, Solar Impulse 2 began its mission to circumnavigate the world, powered only by the sun’s rays. It’s itinerary begins and ends in Abu Dhabi, or more specifically Masdar City, a clean tech hub and probably the most environmentally sustainable city in the world. 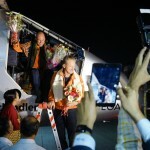 Although their plane can fly perpetually, the pilots will need rest, so over the next five months, Pilots Borschberg and Piccard, who have each already flown one voyage, will alternate the remaining 10 legs of history in the making. This mission pushes social boundaries as well as aeronautical ones. In our world of depleting fossil fuels, if a plane can do this, surely we can do the same for our houses and cars. And that is a Swiss victory worth savouring. James Cullinan is the author of the new book “Flitting – A Beautiful Choice“. Flitting is the latest freedom plan for smokers who want to reduce the harm of tobacco without having to break with cigarettes: It allows them to ‘Keep the best and vape the rest’!